If you thought Indian brides are all about deep reds and maroons, think again. Hey, we are the modern bride brigade, and we tread the route of individualism with aplomb. It’s a yes to peppy yellow hues, mint greens, bright oranges and purples. Breaking away from the seasonal to ever-so-traditional reds, brides are gung-ho about vibrancy, bling and all things jazzy (ahem, there are some who like to keep it traditional, no matter how much you convince them). 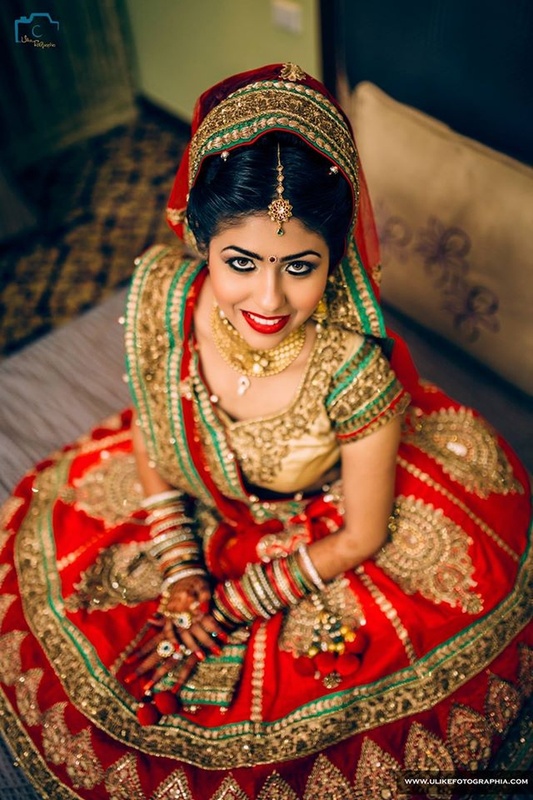 So, how do we decide what’s the current trend in lehenga colours when it comes to weddings? This dilemma always exists for every bride. Here are a few colours that are trending around the wedding circuit and a hit with all the brides out there. Well, making its debut in the trending colour list is the new entrant- royal blue. The term ‘royal’ is apt, considering the rich and regal feeling it gives to the lehenga. It’s classy and majestic, with a huge fan following across the ramp and brides-to-be. This colour exudes sophistication in every way and gives a chic look to the bride. Whether it is a sangeet or cocktail party, the colour can be worn for any wedding function to add that touch of extra glam. There’s something refreshing about the way it looks. Mint is the flavour of the wedding season. It had been in the fashion radar the previous year and has been in demand ever since. A lot of brides prefer mint colour for their wedding lehengas and sarees. It has also been a favourite among designers for their collection at the Lakme Fashion Week. The mint-green (Sheesh Mahal inspired) lehenga was a crowd favourite at Ridhi Mehra’s bridal collection this year. Sorry girls, but there is just no escaping this one. Somewhere, it also has to do with the love we have for ‘all things gold’. Opting for a gold lehenga for your wedding functions can certainly make you look stunning. As much as we’d like to go glittery, just ensure that you don’t go overboard with the heavy gold jewellery. That’s a complete no for the new-age brides. If you are a bride-to-be waiting patiently to select that one special bridal outfit, then make sure it’s orange! Remember how Manish Malhotra made orange a hit among the brides with his gorgeous bridal collections? The colour naturally makes you look bright, gorgeous, and vivacious yet not gaudy. This colour is a blend of pale yellow and beige, adding the much-needed class. It is ‘in’ this wedding season as many brides seem to be giving preference to it. Be it pre-wedding or other wedding functions, champagne is a hit with the modern brides. It also is the perfect pick for every skin complexion. What more do you need?